Abiotic is a Metal Blade Records American technical death metal band from Miami, Florida. The band released their debut studio album "Symbiosis" October 22nd of 2012 and are currently working on new material. 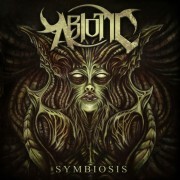 Abiotic is agressive, melodic, technical and musical, to say the least. They've been compared to bands like The Faceless and Veil of Maya. Mixing technical riffs, brutal break downs, and solos that will leave you breathless makes this five-piece assault an act that fans won't ever want to miss!